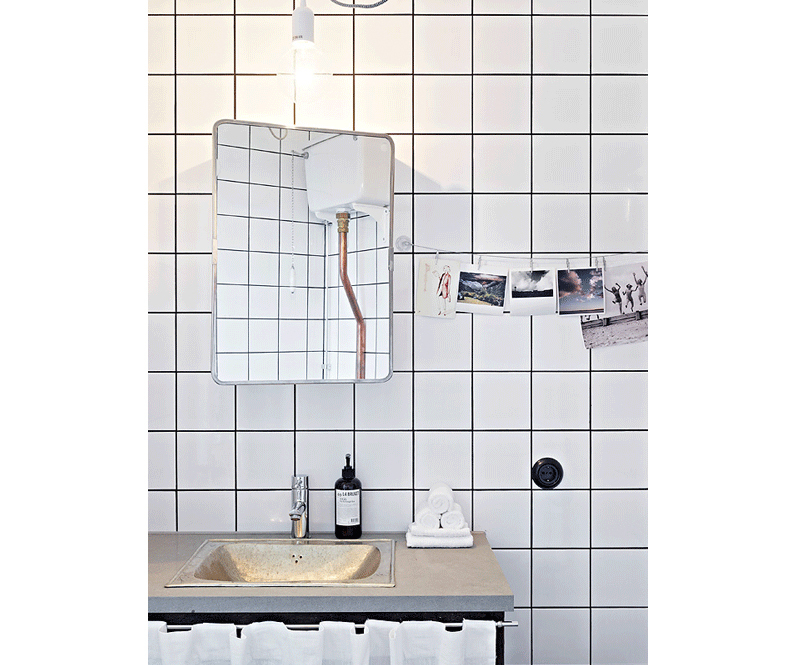 If I could I would love to be able to grout the white tiles in the kitchen or the bathroom with black grout. 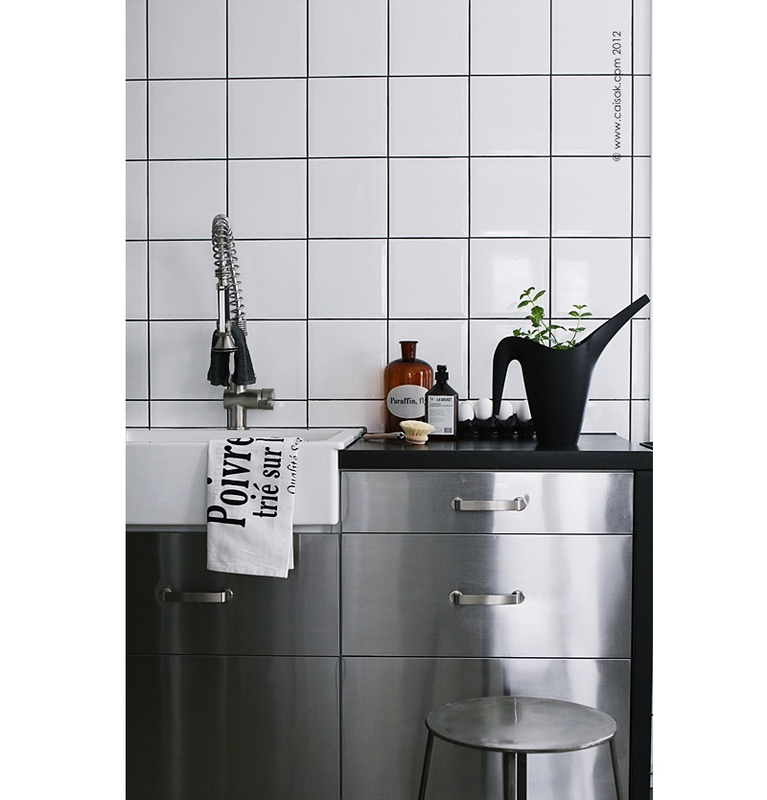 I really love how the black makes the tiles pop out and gives a really graphic industrial look to your kitchen or bathroom. I love how practical the grout would be and it wouldn't show up any stains which really is a pet peve of mine. Here are some beautiful photographs to inspire you over the weekend. Really interesting combination of tiles, furniture and that wooden floor. i love whole arrangement of a place. kitchen is my favorite, I must say. Yes, agree with industrial vibe, but still there's also plenty of coziness. Perfect place indeed. Truly an inspiration! 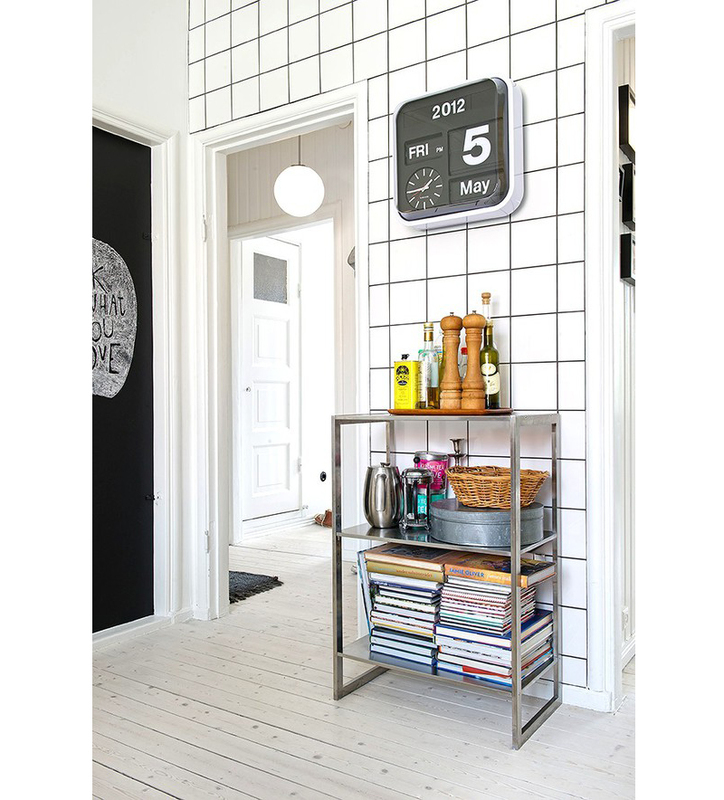 I absolutely love it myself, would be perfect to freshen up the look of the kitchen, and it's great that it's practical at the same time. + thanks for leading me towards blokmilkshop. Purchased one of Ane's themes today for my blog. I couldn't be happier. She's got a great eye for design. i like the "be nice or leave". I love the black grout! I really miss my old apartment! The walls were white with black grout. Of course the building was old so the entire apartment had cute little vintage details. Thanks for the inspiring photos! i love the poivre [french for pepper] dish towel and the 'be nice or leave' sign – such lovely details. I'm in the same situation! I'm so in love with this "black grout on white tiles" effec tbut I had to move to white on white at the end: the lack of width consistency in the grout is so great that a black contrast would have turned out awful. I guess this is the sad side of renting! We put black grout with white subway tiles in our bathroom. I love the contrast but we did not use a good tiler. Therefore any imperfection is really magnified. It is a great look just make sure you use someone who has worked with colored grout before.